We're here to help Colorado teachers. 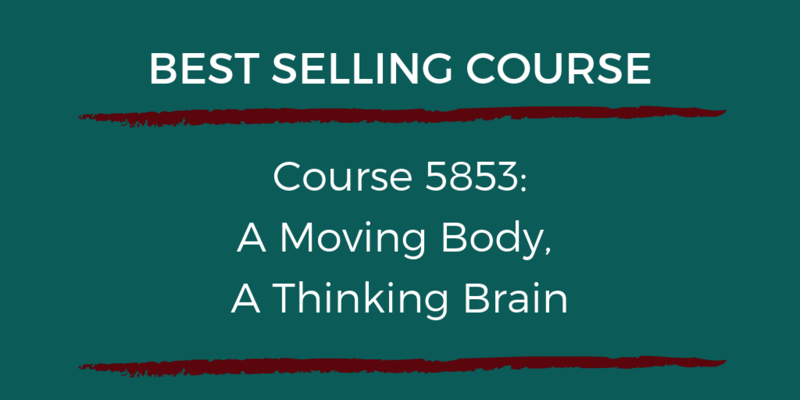 Obtain proof of completion of 6 semester hours or 90 clock hours of professional development. 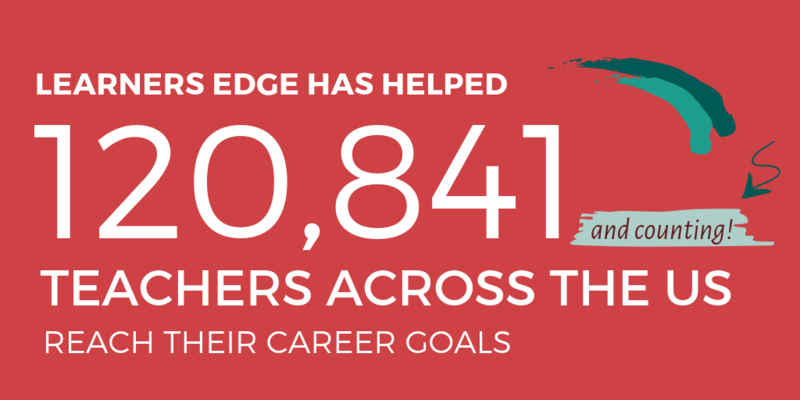 Learners Edge offers both a professional development bundle and continuing education courses to help meet the Colorado requirement. 1 semester hour = 15 clock hours. 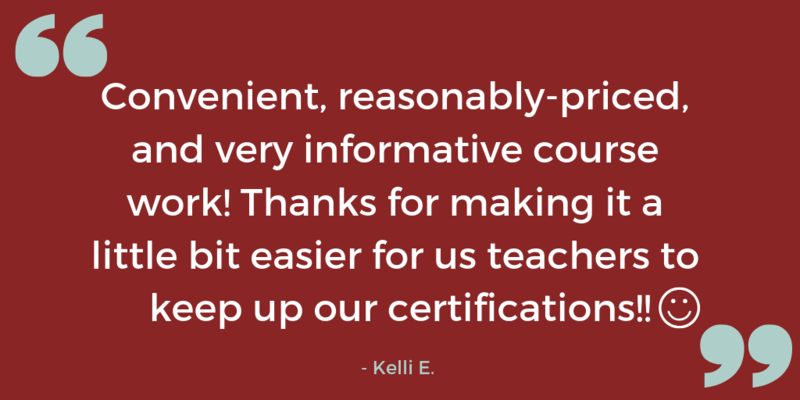 Learners Edge continuing education courses are approved by our regionally accredited universities and colleges from throughout the United States. These partners provide official transcripts, letter grades and graduate credit for successfully completed Learners Edge courses. We are partnered with Colorado State University-Pueblo. 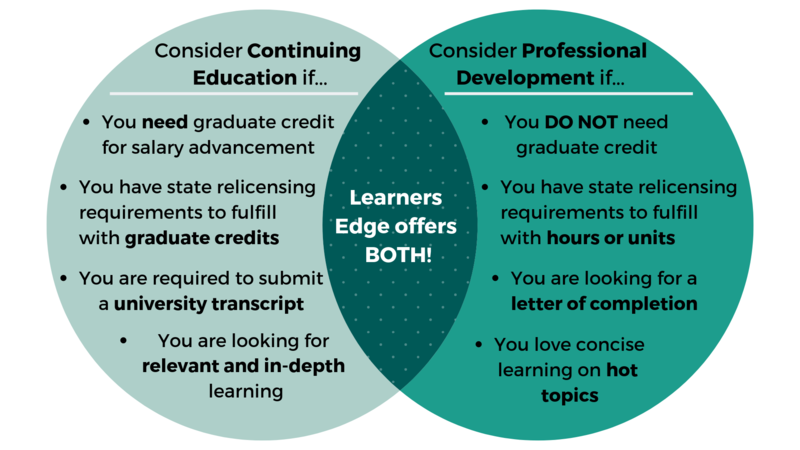 Above is a summary of how Learners Edge may help your continuing education and Colorado license renewal needs. This summary should in no way release individuals from their responsibility of ensuring that the course(s) they take meets their professional needs. We hope it provides assistance in understanding how Learners Edge might help you in the accumulation of clock hours or graduate credit for salary advancement and the Colorado license renewal process.